The final eight have been decided at the New South Wales Amateur championship being played at Elanora Country Club in Sydney. Matt Stieger, Callan O’Reilly, Daniel Pearce, Michael Lambert, Brett Drewitt, Ricki Kato, Jake Higginbottom and Reeve Whitson will contest the semi-finals after a day of interesting matches. Matt Stieger was the standout performer defeating the number one seed, England’s Neil Raymond on the 19th in the opening round. 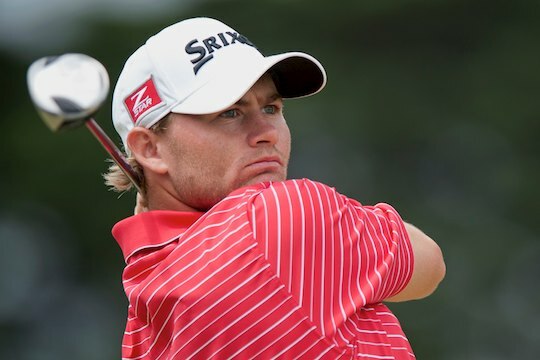 “It was a match I was glad to see pass,” said Stieger, the 2011 Australian Amateur champion. “I’m striking the ball well and having come off a rest period, I’m feeling relaxed and confident,” says Stieger. Steiger then went onto account for James McMillan in the afternoon’s second round 4&3 to set up a quarter final against Callan O’Reilly. O’Reilly plays out of Pennant Hills Golf Club in Sydney and has recorded a number of impressive finishes recently including the recent Lake Macquarie Amateur where he finished in a tie for 3rd. The other top-half quarter final sees former professional Michael Lambert against New Zealand’s Daniel Pearce in what promises to be a classic match-play encounter. In his last eight major amateur encounters, Pearce has not finished outside the top-10, including a runner-up finish at the Waikato Stroke-play in New Zealand. Lambert has been causing trouble over the last few seasons in the Sydney Major Pennant series playing in the top-order for NSW Golf Club having accounted for a number of young hitters. An experienced campaigner both on the professional and amateur front, Lambert’s outlook in this championship is shaping up nicely. Should it unfold, a possible Lambert against Stieger semi-final will be a corker of a match, with Stieger knowing Lambert’s game and weaknesses against a gritty and seasoned player who has returned to the amateur ranks with some controversy. The lower half of the draw sees Brett Drewitt facing the talented Ricky Kato. In progressing to the quarter-finals, Drewitt accounted for Max Everett-Rose 6&5 to then record arguably his biggest match-play win for this season with a 3&1 victory over Rory Bourke. “I’m hitting the ball exactly where I want to,” says Drewitt. Drewitt is a match-play exponent having won two of his three major amateur titles under the format with the Queensland Amateur and Pacific Northwest Amateur. Winless since claiming the South Australian Amateur Classic last March, Drewitt’s first stroke event title, the Inverell native is ready to collect another main amateur title. “Garry [Barter] and I have worked on my swing and I’ve made some changes over the last few months that has taken time to settle in,” says Drewitt. The last quarter-final has Jake Higginbottom against Reeve Whitson. Higginbottom is all class in events of this nature and our top-ranked amateur according the the R&A World Amateur ranking at 14th in the world, will take some stopping. Higginbottom last week was not firing on all cylinders at Lake Macquarie, finishing with an uncharacteristic 77 to finish in a tie for 6th position after being in contention to claim the title, yet this season the Novocastrian has been nothing short of impressive. A runner-up finish at the NSW Open championship, making the cuts in the New Zealand Open, Australian Open and NSW PGA Championship, is testimony to the talent Higginbottom is. As a 16-year-old Higginbottom accounted for England’s, Tommy Fleetwood, in the 2010 NSW Amateur championship with a 3&2 victory at Royal Sydney Golf Club. Fleetwood at the time was the world’s top amateur, finalist at the 2008 British Amateur and a Walker Cupper and Higginbottom recorded his biggest amateur win . Higginbottom has progressed strongly since and is one of our most promising amateurs and I favour strongly his chance of collecting another NSW Amateur championship title.